In one of our previous blogs, we had emphasized the importance of a digital platform in the form of company website for manufacturers and why they should set it up for the benefit of their customers and their business. So, you have setup a brand-new website for your company or gave a much-needed face lift to your existing website at par with the latest web technology and design. You have included crisp and concise explanation about your products, company history, product pricing, help and reference resources for customers etc. and also integrated it with an online buying platform for customers. Now that you have introduced your company to the digital world, you can now sit back, relax and watch your market visibility and sales go up by leaps and bounds. If you are thinking of doing this, then you are completely wrong. For the road towards success in the digital medium has just begun. Post setting up a website, there are a lot of activities that one needs to do in order to increase their visibility and letting people know that their company exists on the digital platform too. We’ll introduce you to a variety of activities and techniques that you can do without busting the bank. You might have the best-looking website coupled with crisp content and stunning product graphics. But, unless your website is visible to everyone, your digital marketing goals wouldn’t be met. By this, we mean search engine visibility. Search Engine is the first place a user goes to when he wants to search for a product/service, website, company etc. with Google being the most preferred search engine apart from Yahoo and Bing. Accordingly, the search engine bots crawl through content such as images, text, meta data, videos etc. that are listed in the search engine index and display the relevant results accordingly. For every entity present on the internet, the only aim is to be visible on the first page and on the top position of search results. This is possible through Search Engine Optimization (SEO). 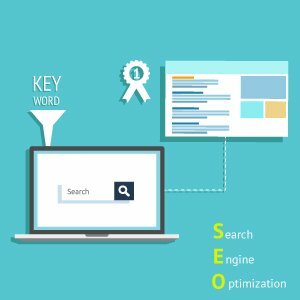 To ensure that your website scores high in SEO, you need to include specific keywords relevant to your product and company in the content that you write for the website. These can be generic keywords used throughout the industry and unique keywords pertaining only to your product/business. Also, if you are using a Content Management System such as WordPress, Wix, Joomla etc. there are various SEO factors such as title and meta description, image captions, focus keywords, URL structure, header titles etc. that should be utilized to increase the SEO to the maximum. This is the organic way to meet SEO guidelines and increase the search ranking of your website. The organic way of increasing visibility is not enough to sustain in the long run especially if you face high competition with respect to the nature of your product. In such circumstances, you need to adopt Search Engine Marketing (SEM). 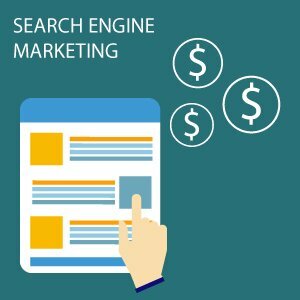 In SEM, you pay the search engine to display your website on the top position of search results when a user searches for specific keywords that you have paid for. Search engines charge based on the number of clicks on your listing in the search results. Companies vying for the first position in the search results have to bid for keywords (searched by customers) by quoting higher pay per click amounts. The top bid wins the top slot and the second bid gets the 2nd one and so on. SEM is a very effective way to increase visibility of your website and attracting traffic from prospects. With a reasonable marketing budget, SEM can work wonders for your business. There are various SEM tools in the market with Google Adwords being the popular one. Companies that are on Social Media websites such as Facebook, LinkedIn, Twitter, Instagram get more product enquiries than companies who aren’t. 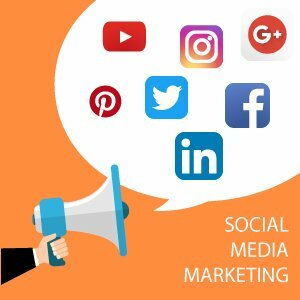 Social Media is used in conjunction with your website such that users accessing your social media sites are redirected to your website for more information. Creating an account on these sites is free and gives you an opportunity to spread the words of your business by interacting with different audience types on different social media platforms. For example, LinkedIn is a professional platform that enables you to connect with other businesses, business executives, employees etc. thereby increasing your network and attracting potential business. If you manufacture a product series that scores high on appearance which is one of the USPs, then Instagram and Facebook are the best platform and you get to reach out to young audiences who are your prospect customers. Having a social media channel generates brand awareness, trust and a league of loyal followers for the company. Also, it acts as a solid interaction tool where users can easily get in touch with you for information, grievances, product help, product enquiries etc. 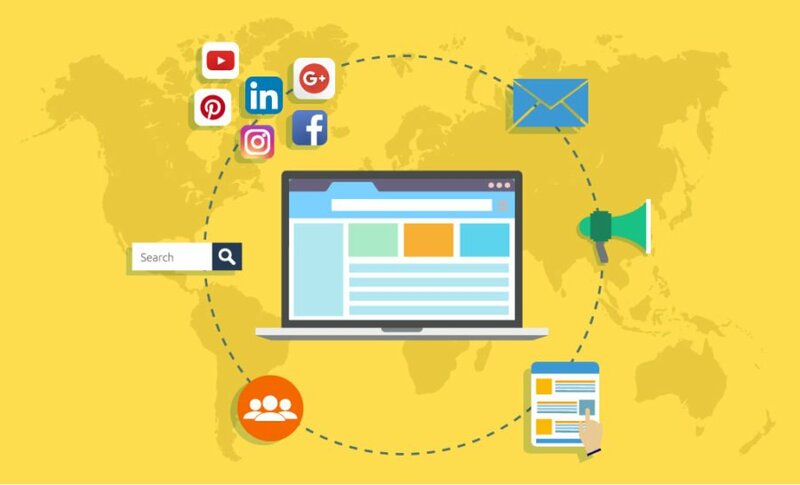 Just like SEM using Google Adwords, these social media platforms also offer targeted paid advertisements for your products to fetch more traffic. Here, you can boost your social media page as a whole or specific posts to targeted audience based on country, groups, gender, age, business types, interests etc. by paying a specific fee for a particular period of time. Based on the set preferences, the site will display the Ad/post attracting more traffic to your social media page and to your website. Social Media platforms also generate useful insights that provide a sneak peak into user preferences, demographics etc. and can be used to optimize marketing campaigns, pre-and post-sales experience, and customer services. 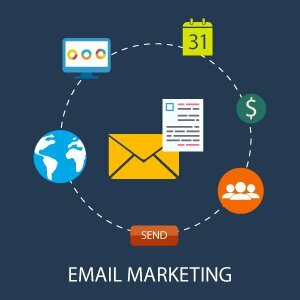 Email marketing campaigns are beginning to form an important strategy for manufacturing organizations to increase their sales and market visibility. The process involves sending promotional campaigns (via email) revolving around products, technology, latest industry trends etc. to a list of businesses/business contacts acquired from email database sellers & industry forums. The email usually contains a brief introduction about the topic/theme and a call to action button that redirects to the company’s website, preferably the product page or the blog where the main content resides. Email campaigns are executed through various off-the-shelf tools such as MailChimp, Zoho etc. These tools record various data parameters such as number of emails sent, opened, button clicks, unsubscribed, bounced etc. which helps the company to determine the accuracy of the email campaigns and optimize it accordingly. 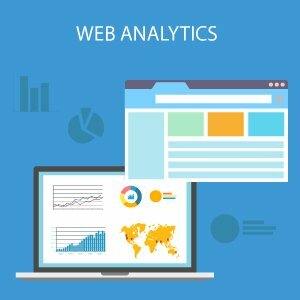 To improve your website and website strategy in total, web analytics play a very important role. Web data is usually captured by Google Analytics and other tools such as WordPress Analytics within WordPress itself. The tools capture the total number of visits to the website, unique visits, total time spent on the website, high-ranking pages, user behavior, exit pages, exit bounce rate, demographics data (gender, country, devices, browsers), real-time number of users accessing the website and a lot more since the inception of the website. Also, there are tools that tell you the hovering and clicking pattern of customers enabling to place call to action buttons, product information at strategic locations on a website page. This data is a treasure trove of information where you can optimize product pages of your website based on the data. Also, tweak the presentation, content, website structure based on the user behavior and other factors captured by the analytics tool. You can also improve the performance of your website on devices such as smartphones and tablets as people are increasingly accessing websites on the go, through these devices. This is an emerging technology that ensures continuity across devices. If you have searched for or accessed the website and abruptly ended the session before accessing the same from a different device, you can view the search results or access the same page you left from earlier. This is because of Advanced Web Analytics that is a step further from the normal web analytics. Google as a search engine assigns you a particular user ID and tags all your devices to that ID. This ensures continuity between devices and ensures you do not have to repeat the same action again on a different device. This has increased the effectiveness of websites as a digital sales platform for organizations and helps them to reach out to their customers faster. Website is a cost-effective platform that is waiting to get tapped by organizations specially manufacturers. They should shed the thinking that website is just a show-piece platform that provides basic information to customers and nothing more than that. The truth is that it is a vast platform waiting to be exploited to the fullest and increase market visibility, online sales, brand reputation, trust and customer satisfaction. All it needs is awareness of the technology, initial external assistance in the form of website and digital marketing experts, and a strong will to establish a firm foothold in the digital world. Thanks for sharing some best information on Google analytics. It was a a helpful blog. Thank you! We are glad that you could derive useful information from our blog article. Keep following us for more useful insights.